Data center collocation market, which is already rising at a rapid pace, has been forecasted to grow at a very high speed in the coming days. The report has been published on a wide range of the market, encompassing different industry verticals, service types, end users, and regions. Though it is a comprehensive forecast report on a global scale, the regional perspectives and growth potential are taken into consideration.When the end user composition is reported, two specific categories are given particular emphasis to and they are small and medium sized businesses as well as the large sized businesses or enterprises. Another important differentiation made in the report is regarding service types available. Two major distinctions made are retail and wholesale. However, the major forecast done is on the basis of verticals. In the analysis based on different verticals, the major industry verticals mentioned are energy, government and public,healthcare, IT and telecom, and banking and insurance. The report is named “Data Center Colocation Market by Service Types (Retail, Wholesale), Industry Verticals (Banking & Insurance, IT & Telecom, Healthcare, Government & Public, Energy), End Users (SMEs, Large Enterprises) & by Regions – Global Forecast to 2020″. 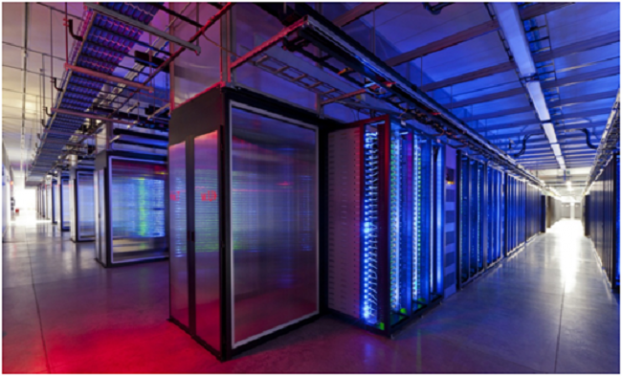 It says data center colocation market in 2015 was hovering around US$ 25.70 billion. However, in the coming 5 years the same is expected to witness a compounded annualized growth rateof 16.1 per cent. Therefore, by the year 2020, the concerned market will more than double. The report forecasted that the market will reach a figure around US$ 54.13 Billion. The report has categorically mentioned that the next wave of growth in server colocation hosting will be driven by increased adoption of cloud computing. In addition to clouds, there will be two other major factors to drive cloud computing and they are improvement of disaster recovery capabilities as well as capital expenditure reduction. It has been seen that there has already been a popularity of hybrid platform. This hybrid platform incorporates two concepts that easeorganization’s data management. While one is traditional colocation, the other is the cloud colocation. The businesses or enterprises will benefit from two aspects. The first one is effective management of processes, which includes safe back-up system as well as disaster recovery. The other major benefit is in term of cost optimization. In the report, it has been categorically mentioned that significant increase will be witnessed in case of wholesale colocation market in the coming years, especially during forecast period. The report mentions some important reasonsdue to which the wholesale colocation market will witness an increase and they are reduction in the cost of large data ownership, cooling, and power. Another major reason why the wholesale colocation market will increase is because of the additional responsibilities that are managed by them in terms of support, services and power needs of their customers. When comes to the regional perspective, it has been seen that the North American market will witness the highest growth. Previous story How Quintessential A Role Does Software Companies Play In Business Manifestation?